Our Combat Contour grips are designed to enhance your gun control under challenging shooting conditions. Made of genuine Indian Rosewood, these rugged grips are a rich, deep, reddish brown with contrasting hints of black and green. Quality product ! Perfect fit & finish. Enhanced control . 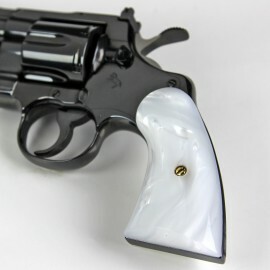 These grips are on par with the quality of the Colt Python. Would buy again. 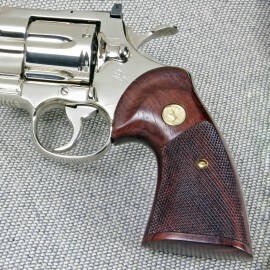 Lovely grips but would not fit my gun. No fault of the grips just the gun that i have. Pity for me. Thanks.